How to convince employer to get screen reader? What is the best way for a sighted colleague to orient me at office? I am having some doubts about my work. My manager is busy. How do I work? My peers do not understand my abilities, what should I do? Step 1 - How to convince employer to get screen reader? 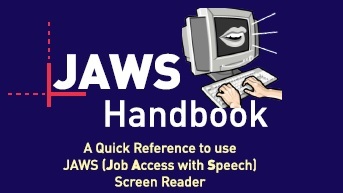 Employer is not willing to install JAWS screen reader. Step 2 - What is the best way for a sighted colleague to orient me at office? Colleagues are helping me to move around the office now. But I want to do it by myself. Many people find job boring. But, when you learn continuously, your job will become interesting. You should learn to take initiative to understand the impact of your work. This 11 minute audio play will help you learn that it is important to take pride in the work you do. Do you feel that you work hard but still your manager is not happy? Understand what your manager expects from you. In your job, there will be situations when you have work longer to meet targets. Don't worry, as you improve in your work, you will get better. Learning takes time and when you are flexible, it will help you learn more and help you in job growth. I do lot of work and complete my work but my manager is not happy. Learn how and when to inform your manager about your work. Step 7 - I am having some doubts about my work. My manager is busy. How do I work? Don't be shy to ask questions. When you have doubts about your work, ask for help. Get your doubts cleared with the help of your manager or team member. This will help to you avoid making mistakes. In this audio play, you will learn that it is important to keep learning and improving in your job. Step 8 - My peers do not understand my abilities, what should I do? Do you want your colleague to treat you equally? Do you want to be included in all team activities like meetings, trainings and outings? Do you want to let your colleagues know when to help and when not to and to be comfortable interacting with persons with visual impairment?